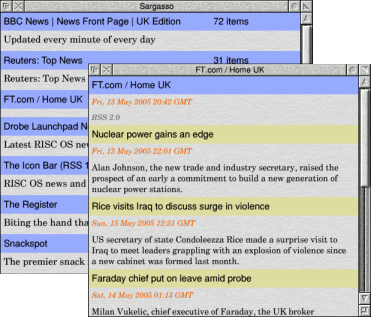 Sargasso is a viewer for RSS feeds. RSS is a format for syndicating news and the content of news-like sites. This version of Sargasso adds automatic updating of feeds, and no longer requires Python.